The church is situated in Middleton Park. 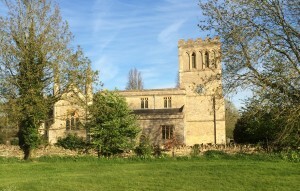 It is part of the Akeman benefice and details of services at churches in benefice can be found here. The Parochial Church Council looks after the fabric and graveyard of All Saints and receives annual grants from the Parish Council and the Jersey Trustees for the maintenance of the churchyard. The church has a tower with a ring of six bells, rung for practice at 7.30pm on most Wednesday evenings, before most Sunday services and by visiting ringers. There is a rota of volunteers who mow the grass in the churchyard – please contact us if you can help with doing a shift. The Commonwealth War Graves Commission makes arrangements for mowing their part of the graveyard which has regular overseas visitors.